Whether you require bathroom accommodations due to a long term disability or recent event that limits your mobility, our bathroom safety experts can help you with the process of enhancing the safety features in your bathrooms. We're in the business of helping to improve the quality of life for people by making their bathrooms more accessible. Experience – The bathroom safety experts here at All City Construction and Remodeling have the tools and experience necessary to modify your bathroom to make it handicap accessible. Types of handicap accommodations we provide include installing grab bars, high rise toilets, sinks, and showers and tubs. All City Construction and Remodeling's walk-in showers and bathtubs include sturdy shower/tub seats to provide comfort, safety, easy transfers while bathing and slip-resistant flooring. Customers who use wheelchairs for mobility love the easy access offered by our walk-in tubs and showers. 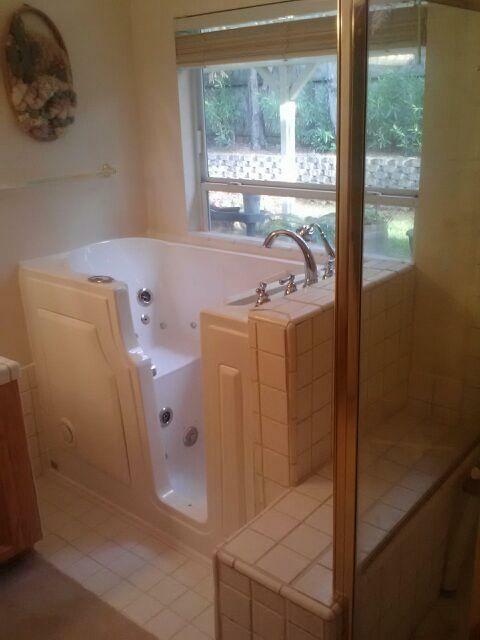 Affordable – Our bathroom remodeling experts are approachable and relatively inexpensive. We offer a personal touch and ensure that installations will meet your specifications. All City Construction and Remodeling strives to provide premium bathroom accessibility product installation services at competitive prices. Satisfaction Guarantee – All of our bathroom accessibility products and services come with a parts and labor guaranty. Call All City Construction and Remodeling at (310) 504-2231 to receive your free bathroom accessibility improvement quote today!